At INTI College Sarawak, Feberisca was awarded the President’s Honour Roll for Outstanding Scholastic Achievement for her excellent academic performance for the August 2011 session. Her sister, Lidya, received the Dean’s Honour Roll for Outstanding Scholastic Achievement for the March 2011 and August 2011 sessions. Ivy Lau, Chief Executive and Principal of INTI College Sarawak (centre) with Lidya (left) and Feberisca Chairisty. The sisters attributed their success to a disciplined approach to all aspects of student life. They felt that it was important to pay full attention in class and having lecturers who were knowledgeable and efficient in expanding on subject matters helped them greatly. INTI College Sarawak, in partnership with the 5-star Hilton Kuching, is at the forefront in the development of professional talent with the popular Diploma in Hotel Management programme. The career-focused curriculum, developed by professionals from these two institutions, offers experiential-based knowledge and skills to students and achieves a balance between theoretical concepts and real-world practicalities. Through the specially tailored programme, 6 subjects are taught by Hilton Kuching’s team of hospitality professionals at the hotel. These subjects cover the broad spectrum of hotel management such as food and beverage management, front office management, housekeeping management and practical cookery. Practical experience, especially in areas such as practical cookery, garde manger, and pastry and bakery, is further enhanced with the availability of INTI College Sarawak’s new on-campus kitchen facilities. Prior to the completion of the programme, students are required to undergo a 4-month internship. 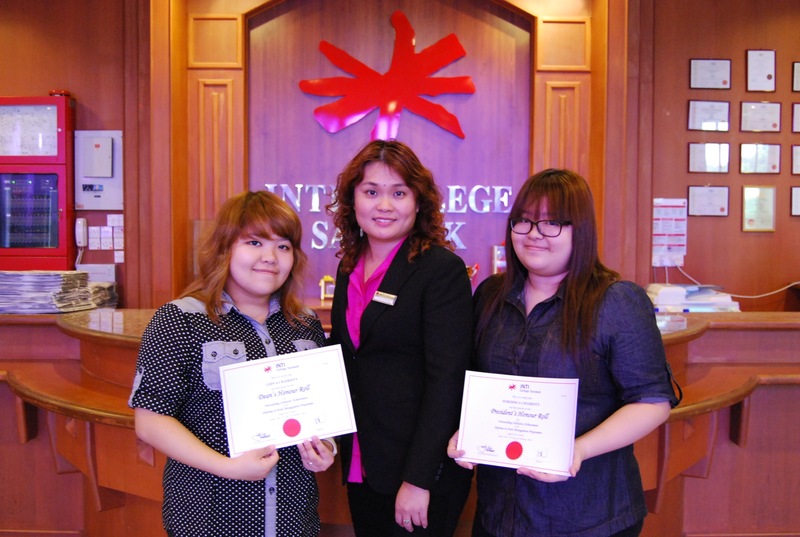 Graduates will receive the Diploma in Hotel Management from INTI College Sarawak as well as a certificate from the Hilton Kuching. Graduates can opt to pursue degree programmes at prestigious institutions under the Laureate International Universities network, which include Glion Institute of Higher Education, Switzerland, Les Roche International School of Hotel Management, Switzerland and Blue Mountains International Hotel Management School, Australia.Students of INTI benefit not only from its over 25 years of experience and strong track-record, but also gain from the global synergy and resources that Laureate International Universities provides. INTI is part of Laureate, the world’s largest private education network with a presence in 29 countries, with more than 60 accredited universities and 130 campuses, serving more than 675,000 students globally.The Diploma in Hotel Management programme is open to SPM school leavers who have a minimum of 3 SPM credits and at least a pass in Bahasa Malaysia. Applicants who have completed UEC must have obtained at least 3Bs. For further information, please call 082 570888 or visit INTI College Sarawak at Jalan Stampin Timur in Kuching.